A weekend getaway planned around a challenging, muddy trail race is an increasingly popular way to experience the mountains. Running kilometre after kilometre through the woods and the mud while carrying your own water and snacks might not seem like an ideal way to spend a weekend away in the mountains. To some, it might seem like a scene from a horror film. But an increasing number of people consider this an exhilarating, adventurous form of exercise. It’s called trail running and it’s a sport currently experiencing a boom in participation. It’s hard to quantify, but participants in trail running meccas like Golden and Revelstoke have noticed an increase in trail runners in the last couple of years. Magi Scallion, the race director for the Golden Ultra trail race, says she used to know everyone she encountered while out running Golden’s 129-km trail network. But in 2015, for the first time, she saw runners she didn’t know. It turns out they were visitors, registered to run the Golden Ultra, which debuted that year. As more organized trail races are popping up across Alberta and British Columbia, even more people are travelling to the mountains to trail run. Interest has increased so much that Mountain Equipment Co-op Edmonton introduced a city-based Trail Race Series for the first time this year, while Adam Campbell, the Calgary-based co-owner of 5 Peaks, a trail-running company that organizes races across Canada, believes that the adventure factor is part of the sport’s appeal. 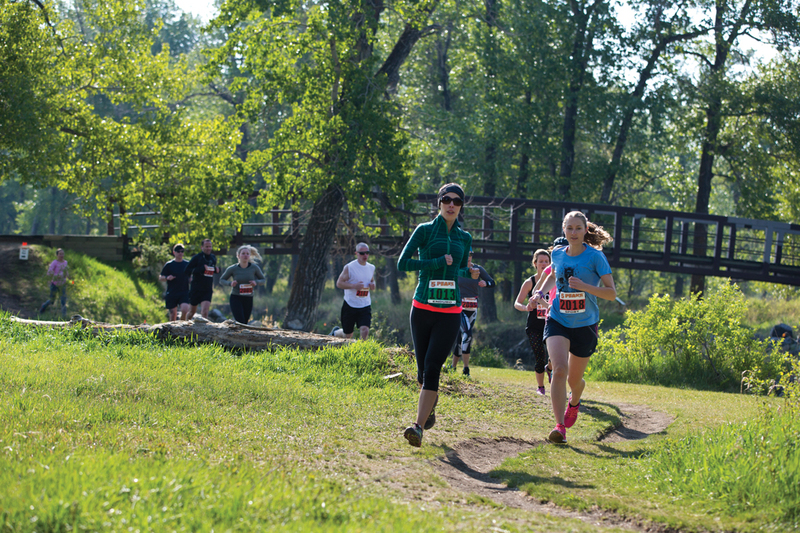 Registering for a race is also a great way to get away for the weekend and experience some of the best trails within a few hours drive of Edmonton. And more and more runners are doing just that. Registration for the Golden Ultra almost doubled from 2015 to 2016. The Okanagan-based trail series Dirty Feet has also seen an increase in Alberta runners since launching in 2011. Closer to home, 5 Peaks Central‘s events allow as many as 800 runners per race and almost always sell out. Many runners also love that trail racing is not just a race against the clock. Because each race has different terrain, elevation and conditions, trail races provide challenges that many fitness enthusiasts have a hard time turning down. Pick a destination, plan a weekend getaway and start training. When: Various dates from May to October, 2017. Make a note: If you’re new to trail running, start here. 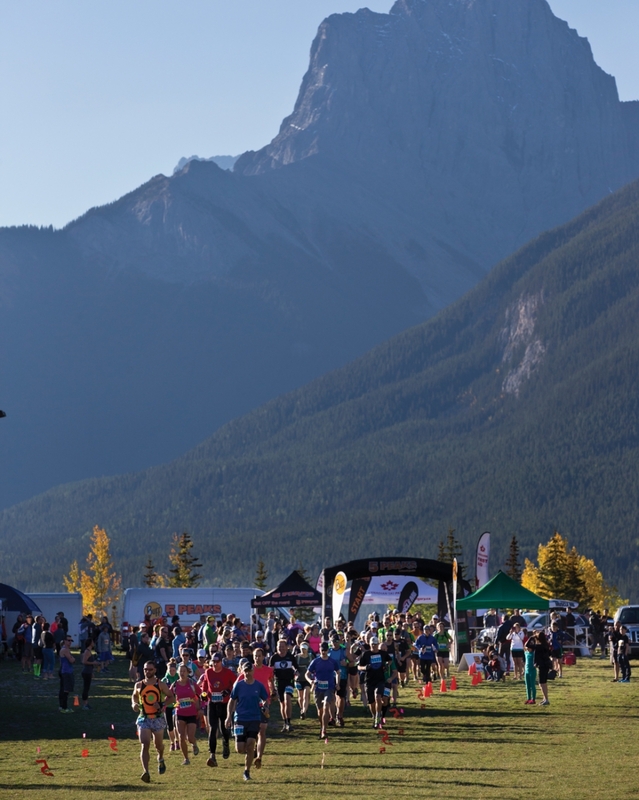 There are five races in the series, so you can start easy with a short run through Fish Creek Provincial Park and work your way up to a longer run in Canmore. When: Various dates from March to November, 2017. Location: Various locations in the B.C. interior. Distance: Depending on the race, distances range from 5 km up to 50 km. Make a note: With races in Vernon, Penticton, Kelowna, Kamloops and Sun Peaks, this series is the biggest trail-running series in the Okanagan. There is also a Dirty Feet race in Revelstoke. Location: Station Flats near Bragg Creek. Distance: 21.1 km or 44.4 km. Make a note: After the run through K-Country trails, there’s pie at the finish line of this race. Location: West Bragg Creek Recreation Area, Bragg Creek. Distance: 16 km, 29 km, 42 km. Make a note: This grassroots event is not packed with people – registration is capped at 150 runners – and there are aid stations with water, chips and candy along the way so you don’t have to carry too much yourself. Distance: 160 km over five days, completed solo or as a two-person team where the runners must run the entire course together. 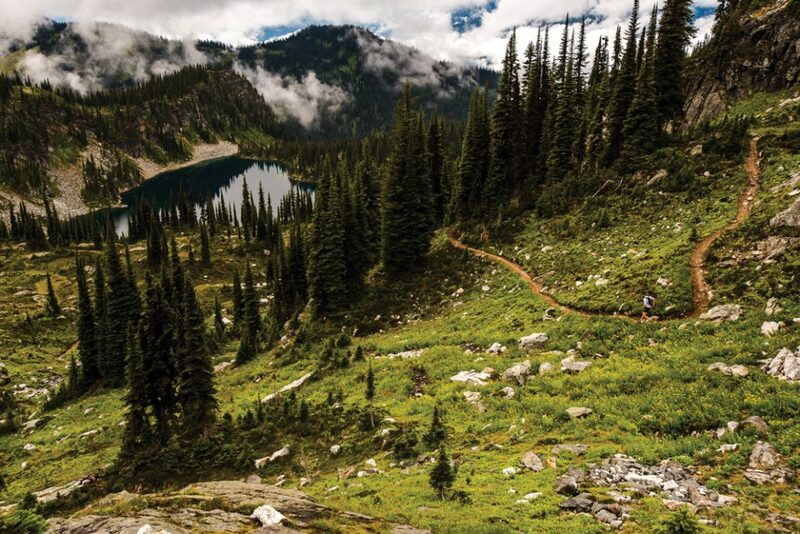 Make a note: This inaugural trail race is extreme. The multi-day event challenges runners to complete distances of up to 50 km per day. Location: Kicking Horse Mountain Resort and Spirit Square, Golden. Distance: 43 km or 85 km over three days. Make a note: You can choose to avoid the big distances by registering for any one day of the event and make this trail race as challenging as you want. Distance: 50 km completed solo, as a two-person relay or as a five-person relay. Make a note: Proceeds from your race registration will support MitoCanada. And dressing up in wacky costumes is encouraged, especially for if you’re racing as a team.